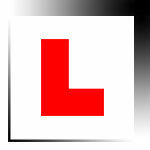 Now you can have a free trial and build your own driving school website at QuickontheNet.com. Enjoy! Please note that the free trial does not include all of our website features. In other words, it is a cut-back version of what you get if you decide to buy your website. For example, when you purchase your website, your website toolkit will contain a lot more features and you will be able to upload your own logo and pictures. Please note that free trial websites are automatically deleted every 24 hours, at 7:00 AM (GMT / UK time), if they are not purchased. To buy the website online, just click 'Buy this website now!' in the top right corner.